As about 1.7 million people in three East Coast states were told to evacuate in advance of Hurricane Florence making landfall, Coast Guard cadets and officer candidates were listening to officers who'd responded to last year's devastating rash of hurricanes and other disasters. The U.S. Naval Institute sponsored a discussion at the academy Tuesday, the 17th anniversary of the Sept. 11 attacks, called "Disaster Will Strike: Are you Ready?" featuring Coast Guard officers who had responded to Hurricanes Maria, Irma, Harvey and Katrina, the 2010 earthquake in Haiti, the mudslides that swept Santa Barbara County in California at the start of this year, and the rescue of 42 crew members from the fishing vessel Alaska Ranger in 2008. "There is a very real possibility shortly after they graduate from here that they could be involved in a very complex operation that impacts the American citizens, and the value of their training here could be put to use sooner than they might think," retired Coast Guard Adm. Thad Allen, who moderated the panel, said in a brief interview before the event. In the first 18 months after he graduated from the academy, he said he responded to a major plane crash, a fire on his ship and a helicopter engine on fire. He was the commander of the Coast Guard's Atlantic forces at the time of the 9/11 attacks, and directed the federal responses to Hurricanes Katrina and Rita in the Gulf Coast. The general consensus from all six panelists: No matter the training, you never can be fully prepared. "What you signed up for is unaccounted-for variables. That's the job," said retired Chief Warrant Officer Mario Vittone, a former Coast Guard rescue swimmer and the general manager of Lifesaving Systems Corp., which manufactures maritime rescue and survival equipment. The search and rescue cases he responded to, even though he and his crewmates would brief each other en route to each case, never unfolded exactly as expected. "Katrina was just a thousand of those," Vittone said of the deadly Category 5 hurricane that struck the Gulf Coast in August 2005. 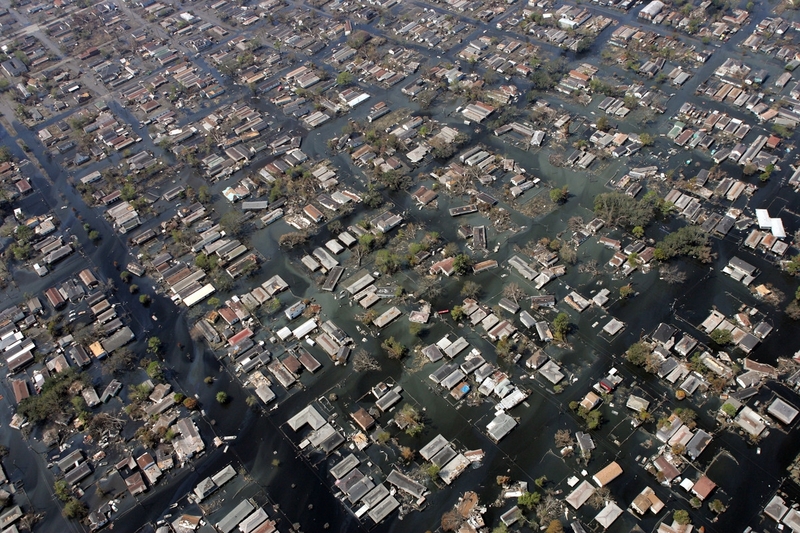 "Katrina was knowing when to break our own rules," he added, offering the example of rescue swimmers cutting into the roofs of homes with axes to evacuate people. Several of the panelists described how they had very little time to prepare before responding to a disaster. Chief Elias Gomez was conducting migrant interdiction operations between Cuba and Haiti when a magnitude 7 earthquake hit Haiti. The ship he was on, the cutter Mohawk, and the cutter Tahoma were the first on scene. He recalled seeing a body floating in the water after the ship anchored in Port-au-Prince. "You have to put your feelings aside. It's emotional when you see something like that, but I knew I had to kick my training into gear," he said. Gomez, who was the corpsman on the Mohawk at the time, knew one of his shipmates, who worked in logistics, had an interest in the medical field, so he assigned him to help administer medication. "Know your crew, know your ship and know your job," said Gomez, who was awarded the Meritorious Service Medal for his response to the earthquake. Other panelists also mentioned the importance of establishing partnerships with the local community. "One thing people don't understand is disaster response is a local responsibility, legally," Allen said before Tuesday's event. "The federal government can't pre-empt a local community but they can assist and help them with resources. So the issue is, to come in and provide as much support from the federal government as is needed, and then not subvert the local, political leaders in governments from doing their job. The question is putting that together so it's most effective." When there's a large, complex response operation, there needs to be a single leader to coordinate that effort on behalf of the president, Allen said. He was that person during Katrina, and a similar role like that was needed in Puerto Rico, he said. Lt. Megan Cook, who was part of the Hurricane Harvey Incident Management Team at Coast Guard Sector Houston-Galveston, said in the immediate aftermath of Harvey hitting land, Coast Guard communications were limited — she and her colleagues relied heavily on their personal cellphones, she said — so the ability to link up with local emergency operation centers to get rescuers out was crucial.